They don’t make kids shows like these anymore. Here are 30 of the most memorable series that gives us a serious case of nostalgia. Science-based shows have carved out quite the niche in Saturday morning programming over the years, and that all started with Watch Mr. Wizard. 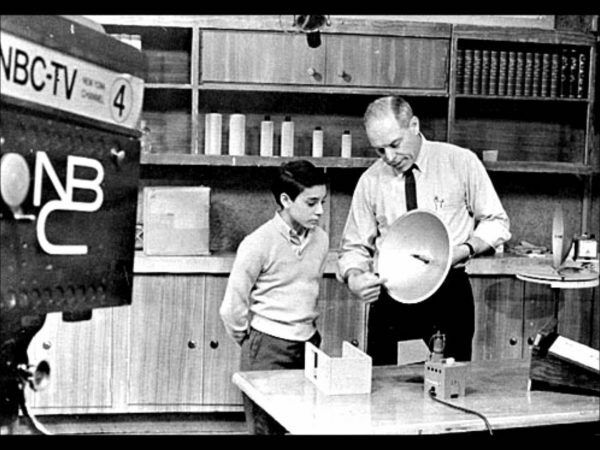 Don Hubert, the show’s creator and host, was responsible for introducing young and curious audiences to the extraordinary world of science hiding out in their homes and backyards. The simple premise and efficient execution of it — Hubert explains scientific concepts to a rotating roster of neighborhood kids — impacted more than just those millions watching the live broadcast. The series helped inspire and establish more than 5000 science clubs, thanks to Mr. Wizard’s popular brand of edu-tainment. Even though it only lasted for on season, H.R. 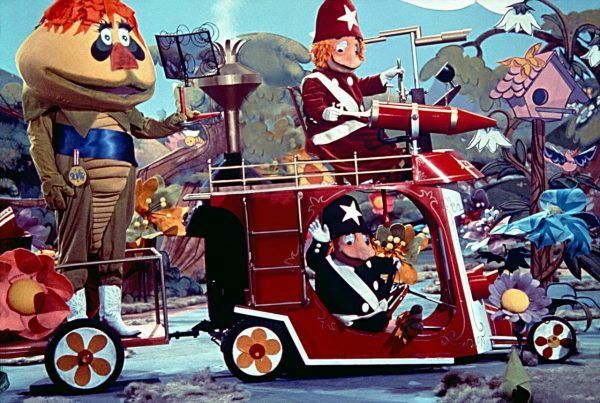 Pufnstuf made a considerable dent in pop-culture. With its unique and inventive use of full-sized puppets — a novel concept at the time — the popular kids show introduced wide-eyed children to the titular mayor of Living Island and its distinct residents. A young human boy, Jimmy, pulls a Gilligan’s Island and gets shipwrecked with Pufnstuf’s crew. They try to help Jimmy escape the show’s villain, a very zany witch, who wants to add Jimmy’s talking flute to her magical collection. So, we have talking flutes and people-sized puppets. What’s not to love? We apologize in advance for this show’s “The Tra La La Song (One Banana, Two Banana)” theme song getting stuck in your head for days after reading this. H.R. Pufnstuf puppeteers Sid and Marty Krofft went all-in on their psychedelic aesthetic with this late ‘60s series from Hanna-Barbera. 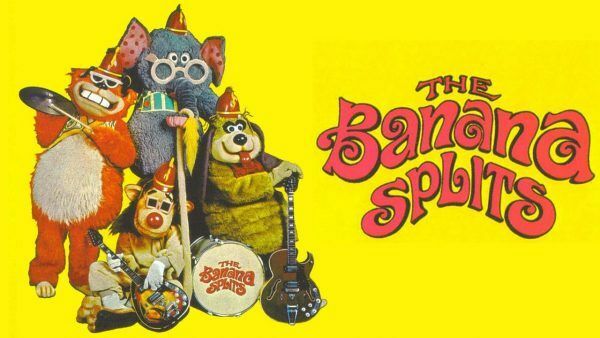 Zany barely covers this show’s brand of antics, as costumed animal hosts Fleegle, Drooper, Bingo, and Snorky did everything from chat with the public to perform hippie rock musical numbers for legions of fans-turned-baby boomers. The episodes’ use of laugh tracks aside, watching this kids show is an experience unlike any other. 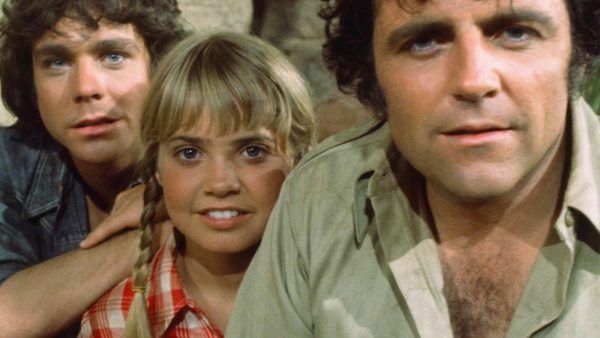 The Kroffts presided over a significant portion of our collective childhoods in the ‘60s and ‘70s. 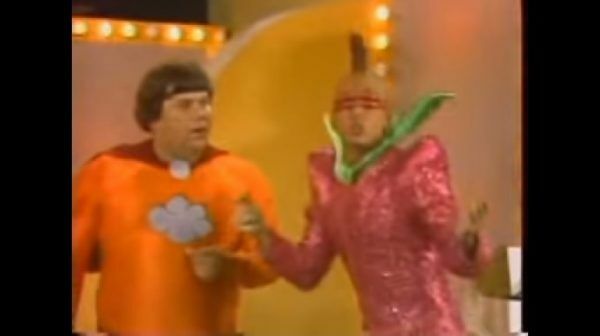 Their legacy extended into The Krofft Supershow, a variety show targeting the Saturday morning audience. And if people still could get away with describing things as “a hoot” anymore, that’s what this would be. 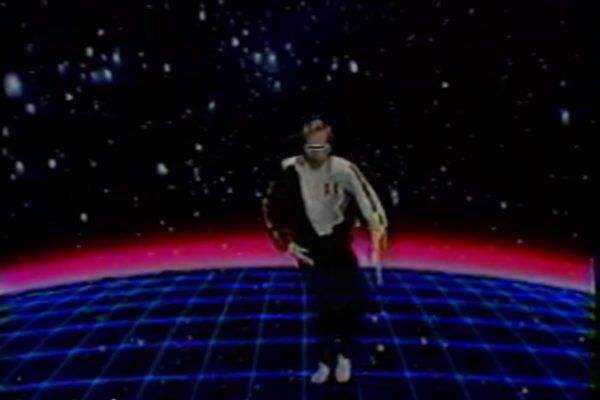 An impressive mix of hit-or-miss live-action segments and musical numbers, the series was hosted by a rock band by the name of “Kaptain Kool and the Kongs.” Ironically, the series is best remembered by fans for replacing its hosts with the real-life band, the then-popular Bay City Rollers. DC’s Captain Marvel was a popular fixture for Saturday morning programming. Before it was The Shazam/Isis Hour, it was known to fans as Shazam! — a half-hour show that originally aired on CBS Saturday mornings from 1974 to 1976. 1975 marked the title change and expanded the show to an hour. Those extra 30 minutes were devoted to superhero Isis (Joanna Cameron) and her adventures when she wasn’t posing as a schoolteacher. Filmnation Productions, who would go onto be famous for their animated He-Man series, were behind this show that still has a very dedicated fanbase more than 40 years later. It’s too bad Saturday morning TV is no longer a thing, because we would love a reboot of this short-lived sci-fi series. Despite its limited production values, Ark II made the most out of them to deliver on its environmental and family-friendly premise. The series centers on a trio of scientists trying to help people when pollution all but ruins planet Earth. While the CBS show lasted only for one season, its altruistic themes are timeless. As climate change increasingly becomes a real threat, the hope Ark II inspires is just what modern audiences need. No relation to the ‘80s cult hit movie, The Monster Squad, this live-action series did feature Dracula and the Wolfman, however. It also featured an inspired, kid-friendly premise on par with the movie that shares its namesake. 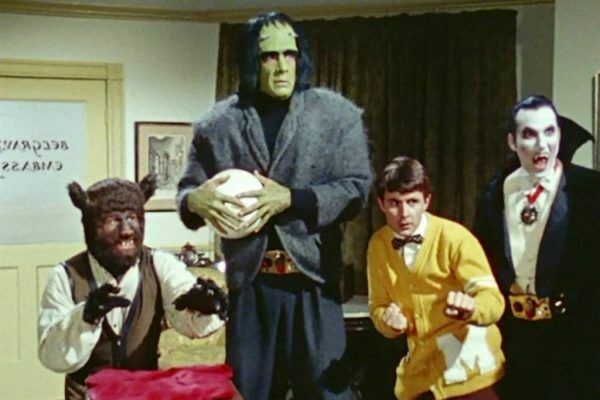 Frankenstein joins Drac and “Bruce W. Wolf” to form a literal squad of crime-fighting monsters. They had a crime computer (naturally) known as The Crime Computer, and a pretty sweet ride — the black Monster Van. Our monster heroes also took a page from Batman’s playbook and gave themselves utility belts. This popular ABC series from the ‘70s burrowed its way into the brains of many a young fan, proving to be a brand that warranted a big-screen adaptation starring Will Ferrell in 2007. The movie was a box office disappointment, but the show’s legacy emerged from that failure relatively unscathed. Land of the Lost took two of our favorite things — alternate universes and dinosaurs — and combined them to create a cheesy-but-entertaining show about the Marshall family’s adventures in a realm that’s home to dinosaurs. Each week, the Marshalls struggled to survive their new home long enough to find a way back to their real one. This underseen Saturday morning sitcom that suffered from less-than-impressive production values. But its solid premise makes it definitely worth revisiting. The first season, which ran for 13 episodes on NBC, told the story of a 40-year-old middle school teacher who drinks from the Fountain of Youth and is then able to turn into his 12-year-old self. This charming, Emmy-winning series was produced locally at WQED in Pittsburgh and it spared no expense on its visual flare. 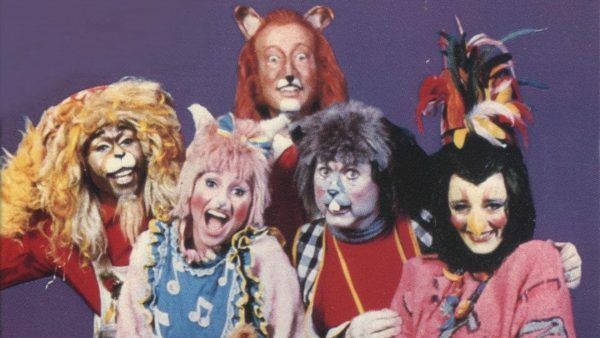 Zoobilee Zoo, hosted by actor Ben Vereen, centered around a group of six actors dressed up as animal characters who call the Zoo home. Our animal characters spent most episodes breaking into song and dance, impressing young viewers everywhere. Though Zoo ended after one season, it ran for years in syndication with prominent airings on both The Learning and Hallmark Channels. Zoo’s ‘80s production values aside, its songs and wholesome atmosphere more than hold up in 2019. When we think of Saturday morning shows, this ‘80s classic is usually first in our minds. Once Saved By the Bell found its groove after the original (and clunky) Miss Bliss days, Zack, A.C., Kelly, Lisa, Jesse, Screech, and Mr. Belding became household names — as did the actors playing them. The writing was “just okay,” but we didn’t care. Zack Morris outsmarting Principal Belding, or freezing time with his “Time out!” trick, kept us entertained. We’re still nostalgic for Bell after all these years and dread the thought of a reboot. Unless of course it’s A Star Is Born take on Zack’s band, Zack Attack. 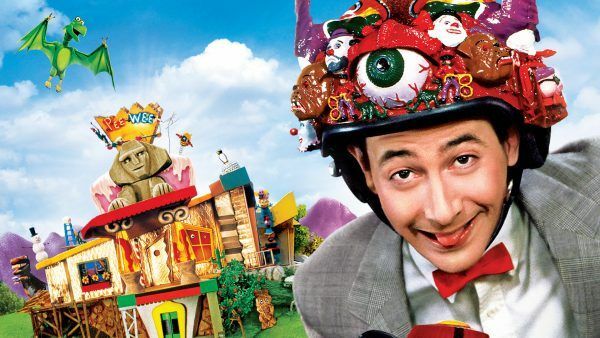 Thinking of Pee-wee’s Playhouse fills us with a strong dose of nostalgia. Paul Rubens’ whacky imaginarium — full of daily secret words (! ), talking chairs, and disembodied genies — made a significant impact on our young minds in between bites of cereal, while also leaving a lasting footprint on pop-culture. Every Saturday, Pee-wee would invite us to hang with Cowboy Curtis or watch a Penny cartoon. Week-to-week, we never knew exactly what awaited for us, but we could always expect to leave smiling. There wasn’t a show like it before, and there really hasn’t been one since. 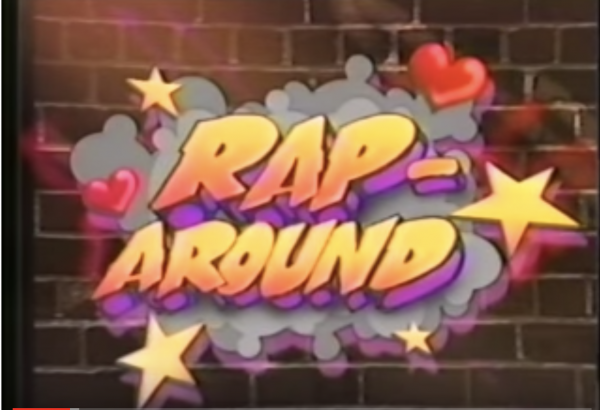 Armed with one of the catchiest (and very ‘80s) opening credits themes, Rap Around is an all-but-forgotten Saturday morning gem from local Boston TV that centered on topical issues facing teens. The show tackled gangs, violence, politics and gun-related topics in PG-friendly ways. Host Tom Bergeron (Dancing With the Stars) seemed like an odd choice to emcee the proceedings, but his town hall-like approach with the panel of kids — coupled with his sincere way of engaging them — proved very effective. So much so, you wish Bergeron would host more shows like this and less live dance competitions. A Double Dare-esque game show aired at kids, this syndicated series was arguably more fun than that Nickelodeon show thanks to the life-size house that was home to an obstacle course for contestants. Hosted by J.D. Roth, Fun House pitted two teams against each other. If there’s anything better than low-budget, Canadian-produced Saturday morning sci-fi, we don’t wanna know about it. Jerry O’Connell stars as a Marty McFly wannabe who, thanks to a local eccentric scientist/stand-in for Doc Brown, is hit with a photon beam which endows him with superpowers like flight. This syndicated series, designed for all ages, aired in some markets on Saturdays, making it a cheesy but welcome staple to our usual roster of animated programming. It also has one of the most underrated and catchy AF theme songs from the era. The WWE’s Captain Lou as Mario? There is life before and life after that casting. And we’ve spent the last 30 years stuck in the “life after” part. 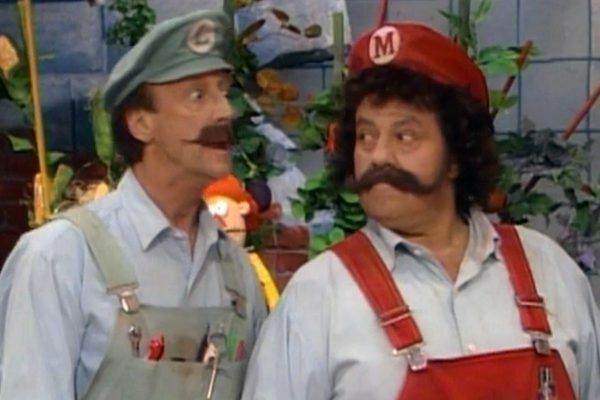 A mix of animated cartoon shorts and live-action, Super Mario Bros. Super Show was an essential part to growing up a Nintendo kid. After playing the original Mario game, kids could watch the 2D cartoon exploits of our favorite plumber — with Luigi, too! A recent rewatch held up, uh, not well. But hindsight is 20/20, and we still get a kick out of the zany adventures of Nintendo’s mascot. Before you check out the new Shazam movie, treat yourself to a YouTube dive revisiting this hot mess of nostalgia, superheroes, cartoons, and live music. If a an ice show (minus the ice) and American Bandstand had a baby, it would be The Kid Super Power Hour With Shazam. 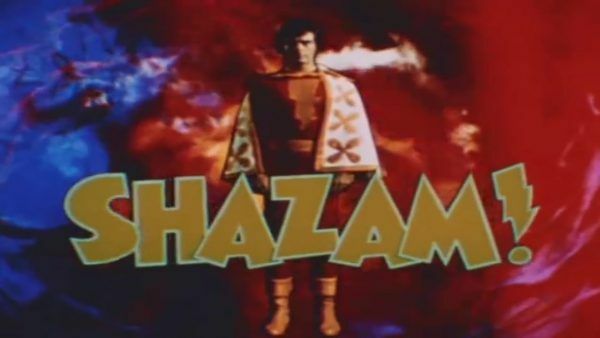 The short-lived series featured two segments: “Hero High,” about students attending a school for superheroes, and the Shazam! Cartoon. Now, here’s the very ‘80s part of the show: “Hero High’s” voice actors would appear live, on stage and in character, to perform musical numbers and/or comedy sketches. It’s something you can’t unsee. This CBS Saturday morning show, which ran for one season, is a deep, deep cut for fans. Airing at the height of Richard Pryor’s celebrity, Pryor’s Place — a children’s show — was an odd but welcomed departure for the late comedian known for his very R-rated profanity. Each week, Pryor would interact with an entertaining cast of puppets and children, Sesame Street-style. 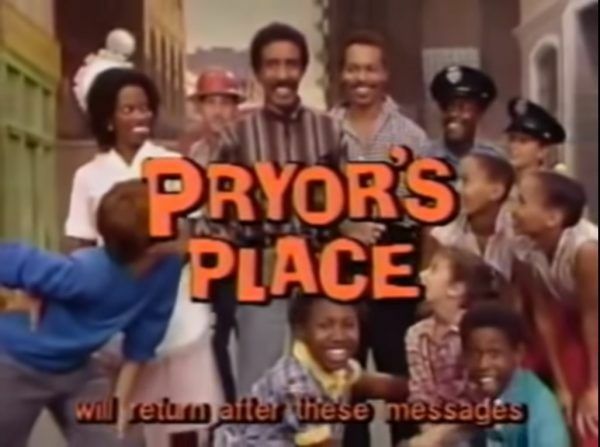 But unlike Sesame Street, Pryor’s show took on more serious issues and had mindful discussions about them with a young cast of children. Given the current climate, we could use a Pryor’s Place today. Many a trip to the video store resulted in taking home at least one Ernest movie. (Ernest Scared Stupid FTW!). So it only makes sense for the popular denim-clad simpleton would get his own TV show to cash-in on both his big-screen popularity and that of CBS’ Pee-wee’s Playhouse. 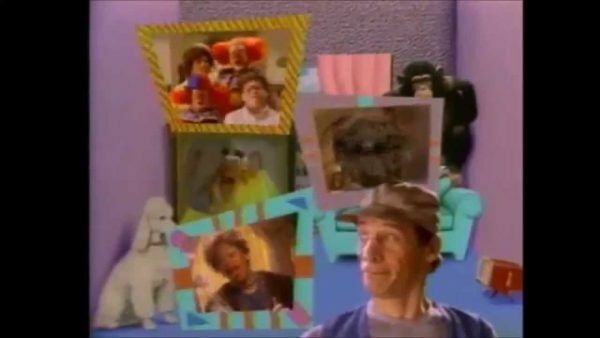 CBS would also air Ernest’s show, which saw its star, the late Jim Varney, sometimes directly address camera as he engaged in a few funny and off-kilter sketches. (Oh, and he’d chat with Vern, too). The whacky, almost unsettling opening titles song aside, Hey Vern was an out-of-the-box addition to our Saturday line-up. Canada gave us this all-but-forgotten Saturday morning gem that’s the music video equivalent of Kids Incorporated meets MTV. This was the kids show you liked to watch but were not a fan of telling your friends that you watched it. A YouTube dive will instantly prove why that is: The low-budget series features a cast of kids bouncing around and singing along in some very ‘80s attire and hair to some even more ‘80s songs. 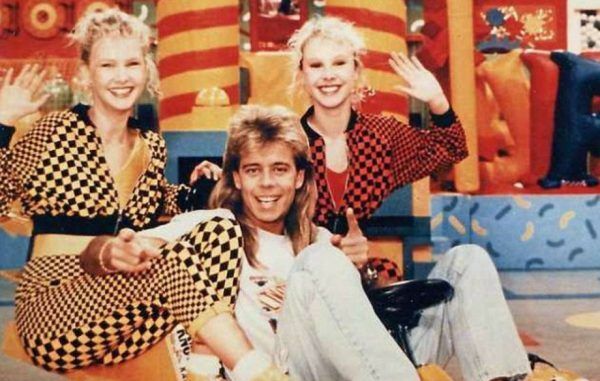 Blame the ‘80s boom in music videos for this show’s existence. 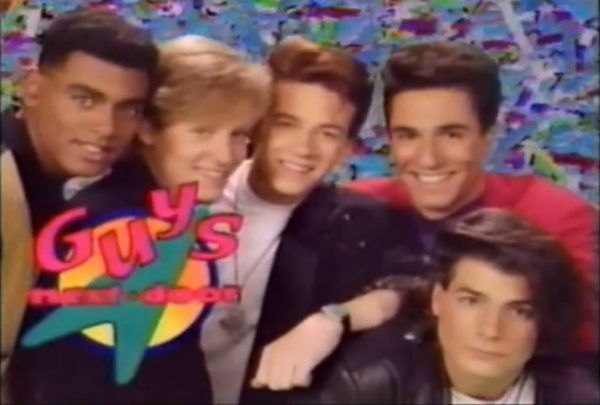 “Surf dudes, with attitudes…” Those are the opening lines to one of the best/worst TV show themes ever. 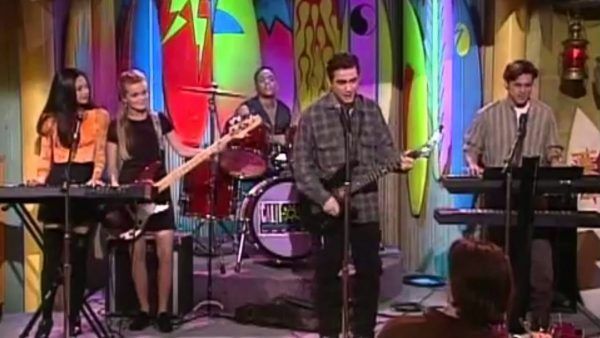 NBC’s California Dreams didn’t leave the cultural footprint of its lead-in, Saved By the Bell, but nostalgic fans remember spending many a weekend morning with the show’s aspiring garage band full of teens. Their tunes were a mix of catchy bubble gum pop and the type of song that you could ignore in the background of your middle school dance. But the fictional band couldn’t even come close to producing a song as unforgettable as Dreams’ theme. How this spinoff ran longer than the flagship show is a head-scratcher. We watched The New Class religiously, but can’t remember the names of any of the characters. But for some fans, clearly this was their favorite over Zack and Kelly. The New Class featured a more robust cast of Bayside-based students that found new ways to drive Principal Belding to an early retirement. 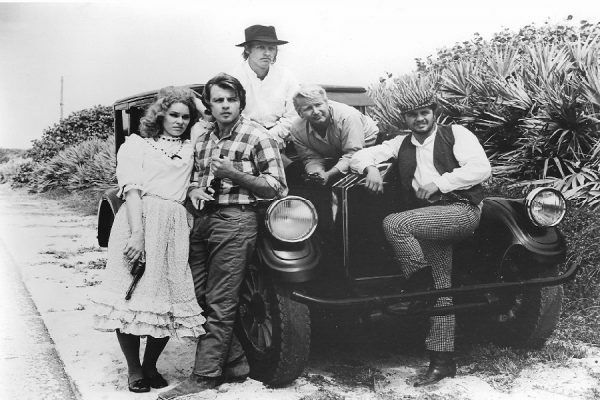 The show’s storylines were largely recycled from episodes produced for the original series, and the cast was almost constantly changing. The ensemble’s only constants were Belding and Screech. NBC tried to infuse its Saturday morning line-up with this daytime attempt at Saturday Night Live that cast a boy band as its series regulars. And yes, that is one of the most ‘90s ideas ever. The end result was far from a hit, seeing as how it only lasted for one season. The boyband at the heart of the show, who would act in comedy sketches that skewered then-relevant news topics, had more of an impact than their series. Several fansites are still running in their honor and many of their musical performances from the show are popular on YouTube. This syndicated, live-action adaptation of the popular book series aimed at tweens is one of the best shows to ever score a spot on the Saturday morning schedule. Brittany and Cynthia Daniel headlined Sweet Valley High’s ensemble cast, playing the roles of blond twins Elizabeth and Jessica Wakefield. Their home was the fictional town of Sweet Valley, CA, which would often spark drama between the very likable Elizabeth and her more irresponsible flirt of a sister, Jessica. The series was a big deal, spawning a popular soundtrack and three seasons worth of episodes that became a hit on home video. This live-action reboot-quel of the classic 1960s series has nothing to do with the Elijah Wood-starring 1996 movie, but it’s much more entertaining than that film. Each of Flipper’s four seasons focused on a dolphin and his human friends, which included a Naval research officer and her rebellious (shocker) teenage son at a fictional marine institute. 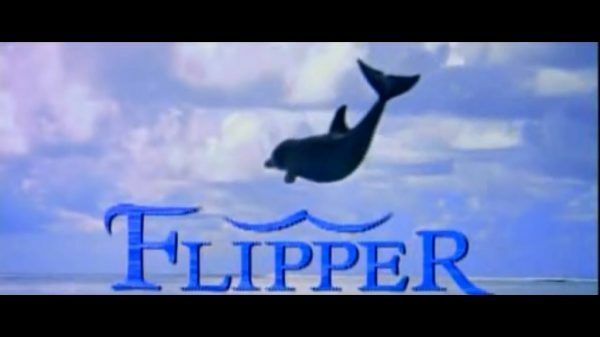 The series is best known for its infamous finale: Flipper beaches himself on a sand dune and his human friends are too late to save him. Yup, he dies, for real. His demise likely lead to lots of therapy bills for his traumatized fans. Mighty Morphin’ Power Rangers, a prime staple of the FOX Kids programming line-up, was both a Saturday morning series and one that aired daily. That meant that young kids had six days worth of low-budget production values that fostered high levels of entertainment, thanks to the episodes’ reliance on cheesy monster battles. 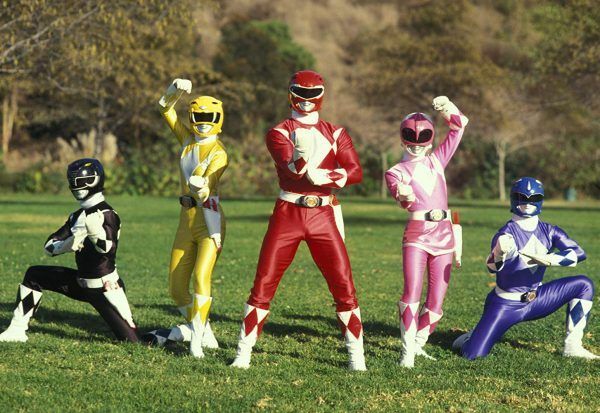 Saban Entertainment introduced audiences to the Power Rangers, a live-action crew of teenage fighters trained in martial arts and armed with the ability to use Dinozords to battle a wide range of rubber-suited baddies. The low-fi production was part of the series’ charm, of which ‘90s kids couldn’t get enough. 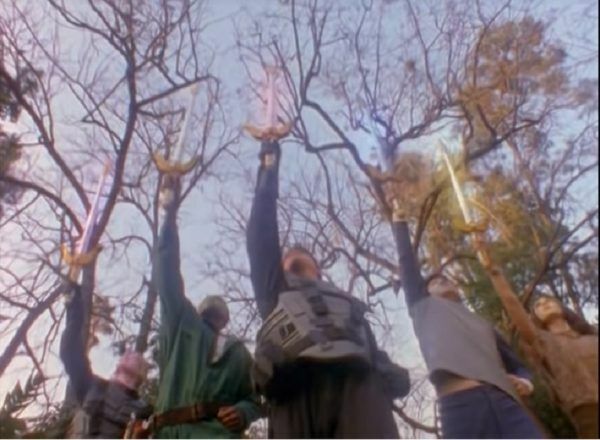 The original Power Rangers series spawned a legacy of spinoffs, with Lost Galaxy scoring the coveted Saturday morning spot. While the cast and certain story details changed, the action-packed set pieces that fans had grown accustomed to largely remained the same. Lost Galaxy centered on four young adults on the space colony Terra Venture that became galaxy defenders. The show scarred fans by killing a ranger for the first time ever. Kendrix (Valerie Vernon) was written off the show to give Vernon time off for medical reasons. Thankfully, Vernon and her character returned for the series finale. Before he hosted American Idol, Ryan Seacrest emceed this spinoff of American Gladiators. Seacrest co-hosted the series, which featured kid contestants answering a variety of health and fitness questions. Actual American Gladiators would serve as coaches, helping the kids compete in a series of physical and intellectual challenges. 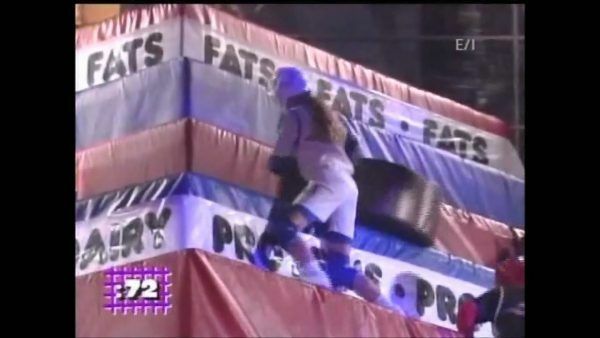 Gladiators 2000 is most notable for how it blended learning with really aggro physical fitness, taking some props and sets from the original series and repurposing them here for more child-friendly fun. It ultimately wasn’t as big a hit as the flagship series, but it was just as entertaining to watch. CBS got in on the “science for kids” craze in the early ‘90s, thanks to the success of Bill Nye: The Science Guy. 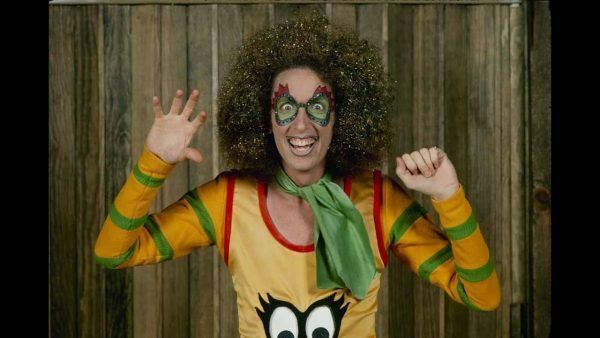 While Nye’s show had the better theme song, it lacked one key component that Beakman’s World didn’t: Lester, a real-life actor dressed up to look like a mangy rat. Lester and assistant Josie would help the wacky but super-smart Beakman (Paul Zaloom) answer viewer mail along with kids’ most pressing scientific questions. 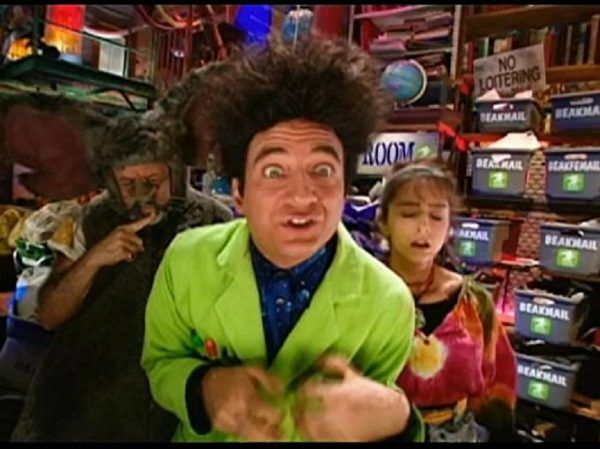 Beakman, with the loud hair and even louder lab coat, would use comical (but scientifically-accurate) experiments to make his educated points and keep his target audience entertained with his must-see antics. 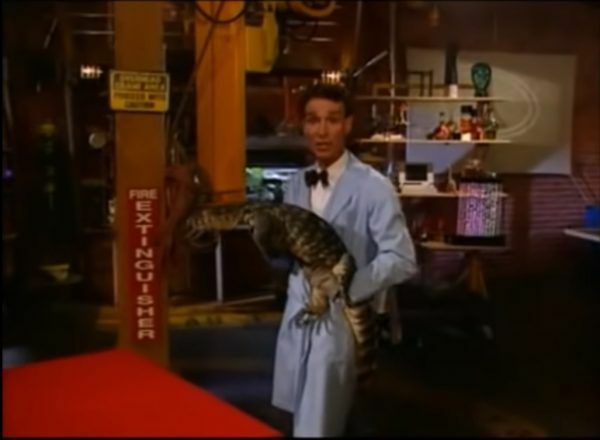 For five syndicated seasons and 100 episodes, Bill Nye was our generation’s Mr. Wizard. So it’s fitting this list bookends with two science shows. Nye’s engaging personality helped him inherit Mr. Wizard’s mantle, leading him to become the go-to guy for kids looking to have fun while learning science. Nye was “hooked on experimenting and explaining,” according to the show’s official logline, and his audience were effortlessly hooked on his creative ways of presenting scientific concepts to both kids and their parents. We can’t think of science without also thinking of him — proof that his show was a legacy in the making.